The whistleblower who filed suit against Sweet Dreams, Adam Nauss, claimed that the healthcare provider was using “under-qualified” professionals to perform anesthesia, was “up-charging” the government, and used “kickbacks” to drum-up business. The False Claims Act, originally enacted in 1863 during the civil war to combat rampant fraud in government contracting, was amended by Congress in 1986 to enhance the federal government’s ability to recover losses from fraud against the United States. Violations of the FCA are subject to civil penalties (approximately $20,000) for each false claim plus three times the amount of the loss that the government incurred as a result of the defendant’s actions. 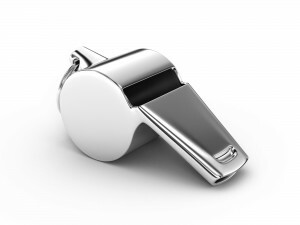 FCA cases rely on “whistleblowers” who come forward and file suit against their employer, whom they suspect of fraud. Under the False Claims Act, whistleblower complaints are filed “under seal” and are supposed to remain secret for at least 60 days to give the U.S. Department of Justice a chance to investigate the fraud allegations which are being asserted on behalf of the federal government. The fraud the whistleblower alleged “Sweet Dreams” perpetuated involved “under-qualification.” The company primarily provides anesthesiology services to medical facilities, including podiatry centers, via Certified Registered Nurse Anesthetists (“CRNAs”). Because CRNAs may not provide anesthesia services unless under the direction or responsibility of a duly licensed physician, CRNAs may not administer general anesthesia when under the direction of a podiatrist. Nauss’ complaint alleged that this is exactly what the company was doing. Why? An attempt to cut costs. Nauss also alleged Sweet Dreams “up-charged” the government for services that were exaggerated, unnecessary, or not provided at all. He claims the company knowingly and intentionally defrauded the government by upcoding their billed anesthesiology services to “general anesthesia” or “Total Intravenous Anesthesiology,” more comprehensive and expensive forms of putting patients to sleep. The company, in reality, often used less rigorous forms of anesthesia. Nauss, who at the time of filing his complaint was recently promoted to a Vice President of Sweet Dreams, became privy to information that the company routinely “unbundled” services by charging for multiple, routinely “included” services. This was done in lieu of charging for less expensive procedures, which actually reflected the true the scope of Sweet Dream’s work. As a result, the company inflated its bills to the government. The whistleblower also alleged his company paid “kickbacks” to hospitals and healthcare centers to encourage patient referrals and the use of Sweet Dreams’ services. This scheme is illegal under the “Anti-kickback Statute” or (“AKS”). The schemes Sweet Dreams allegedly perpetrated are not unique and run rampant throughout the healthcare system. The decision to “blow the whistle” on one’s employer is often tough, and fraud may not be as explicit as what Nauss alleged in his complaint. But, consulting an experienced False Claims Act attorney may help an employee root out violations of the Act and make their potential remedies more transparent.